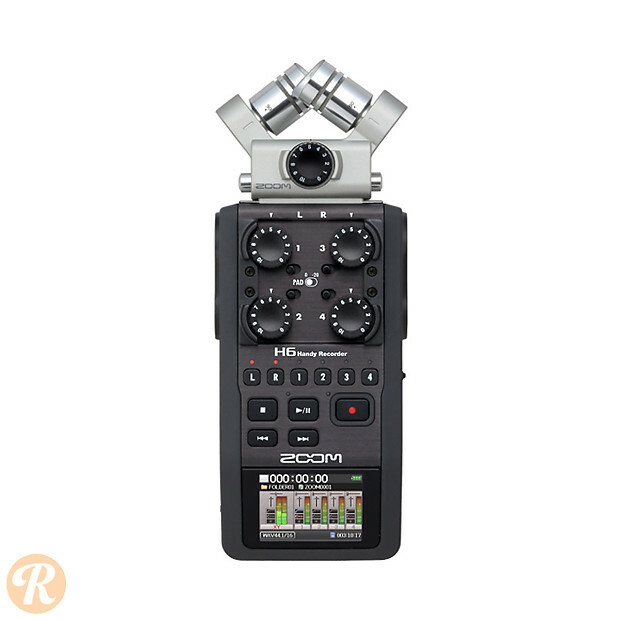 The H6 is Zoom's flagship handheld field recorder. An improvement on the stalwart H4N in almost every respect, the H6 sports 2 additional inputs, for a total of 6, a full color LCD display and more hands on control. The default configuration includes 2 cardioid condensers in an X-Y configuration, adjustable to ORTF, in addition to 4 XLR inputs with switchable phantom power. A series of swappable, specialist capsules are available for the built in mics as well, including an omnidirectional and hypercardioid shotgun model, among others. Gain controls for all inputs are instantly accessible via discrete controls and variety of onboard editing and effects options are also included. 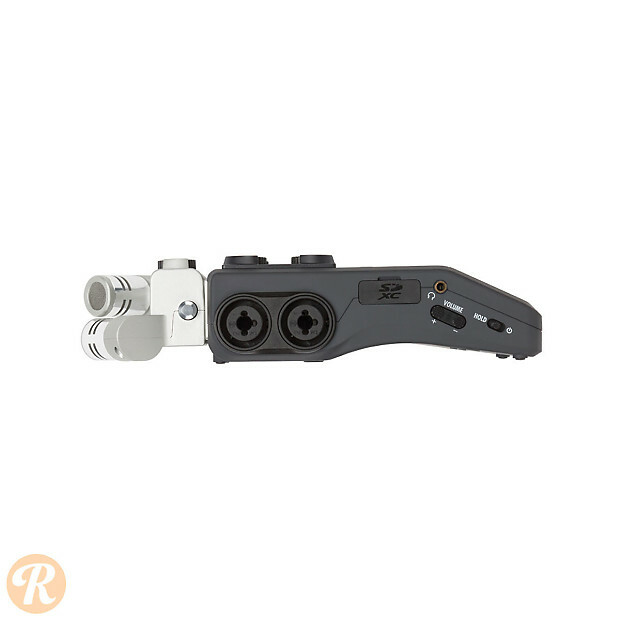 File transfer is handled via USB, and the unit can even be used as a USB audio interface for live recording.